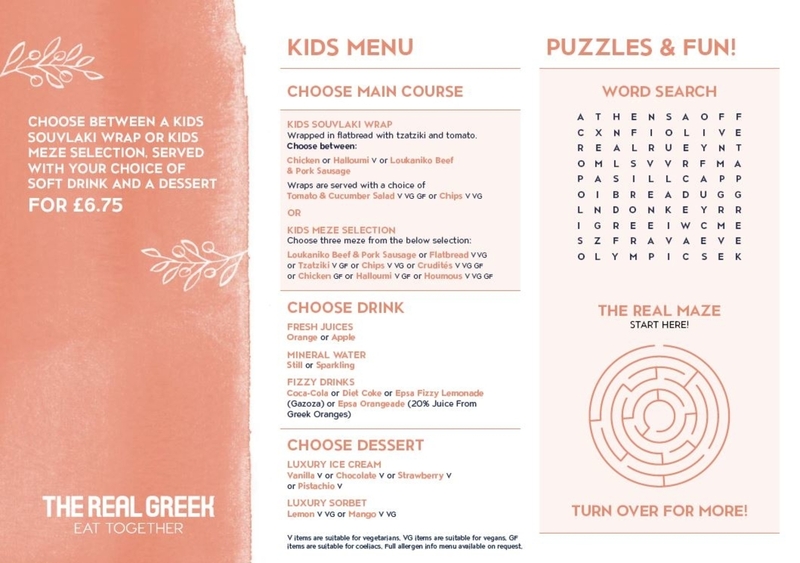 On the 15th January 2019, The Real Greek will be launching their new menus. 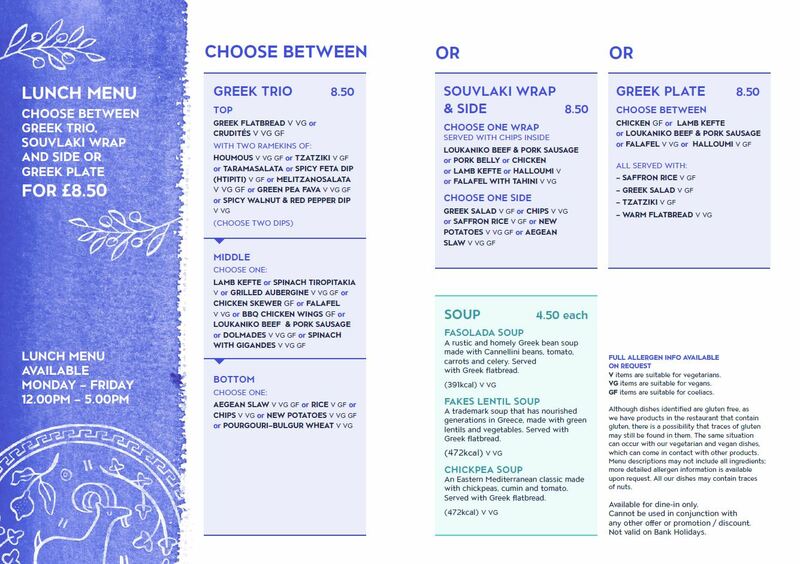 Say hello to the new … Main Menu, Vegan Menu (on the Main Menu), Lunch Menu, Vegan Lunch Menu, Kids Menu and Party Menu. FASOLADA SOUP A rustic and homely Greek bean soup made with Cannellini beans, tomato, carrots and celery. Served with Greek flatbread. FAKES LENTIL SOUP A trademark soup that has nourished generations in Greece, made with green lentils and vegetables. Served with Greek flatbread. CHICKPEA SOUP an Eastern Mediterranean classic made with chickpeas, cumin and tomato. Served with Greek flatbread.